The federal government’s rules on trucking Hours of Service will have a mostly positive impact on the commercial transportation industry, experts say. Hour of Service (HOS) rules set restrictions on the time truckers can spend driving per day and per week. Under the regulations, drivers may drive up to 11 hours a day rather than 10, but are restricted to 14 hours in a duty period. Drivers may not extend the 14-hour duty period for meal and fuel stops. They may only break the 14-hour duty time with at least an eight-hour sleep break. Duty periods must begin with at least 10 hours of off-duty time, not eight. Drivers may “restart” an eight-day duty period – which may include up to 70 hours of duty – with at least 34 hours of off-duty time. Reducing road time will lead to safer roads and healthier work schedules, officials say, but may pose some initial challenges to fleets concerned about maintaining delivery schedules and drivers’ earnings. Federal rules restricting road time were originally discussed in the 1930s. The current rules involving how drivers use the 34-hour restart were enacted in 2013. Several trucking organizations challenged HOS in 2013 leading to its suspension by Congress in 2015. Based on a mandated U.S. Department of Transportation analysis, the federal government released its final HOS ruling in 2015 requiring drivers to log hours electronically. Deadline for industry compliance is Dec. 18, 2017. HOS is part of the larger electronic logging device (ELD) mandate, enacted into law in 2015 that underwent a failed legal challenge in October 2016. Most truck drivers have logged their duty hours on paper since the advent of the modern commercial transportation industry nearly a century ago. Although initially viewed by skeptics as a roadblock to productivity and efficiency, fleet managers are recognizing the advantages the ELD mandate and HOS rules bring to the industry. The new rules give fleet managers better oversight over the shipping process, enabling them to gauge more accurately shipping and routing times and processes. Shippers will be better able to plan routes, direct driver routing and more precisely provide shipping delivery estimates. ABCO Transportation is already miles ahead of the legislation changes on the landscape, having equipped its systems and services for a smooth and efficient transition. ABCO has already implemented ELD technology so shippers will experience no service lapse. The company also closely monitors drivers’ hours to increase productivity and to establish the most innovative routing solutions for moving freight. 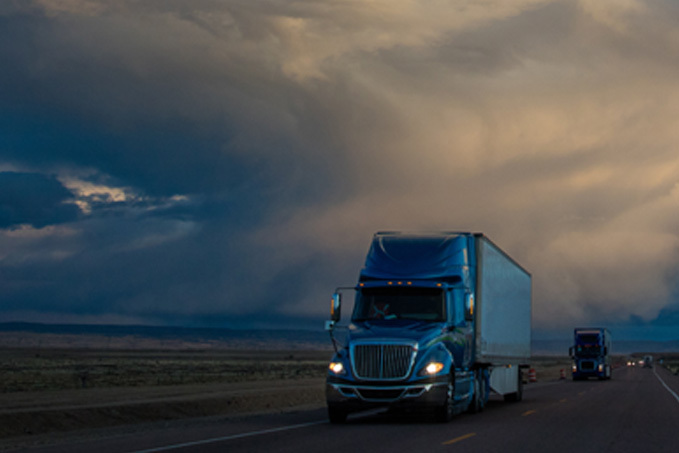 ABCO’s systems provide increased visibility by recording drive time, monitoring truck movement, and by recording duty status, miles and locations. Its real-time visibility enables them to determine precise pick-up times. Discover the right trucking company to suit your shipping needs. Contact us today.